Represented RAL Development Services on the redevelopment of 124 East 14th Street into a 21-story, 240,000 square-foot tech-focused office space. The building, which Mayor de Blasio called “the front door for tech in New York City,” is a joint venture between the city's Economic Development Corp. and our client RAL. Located on city-owned land, the $250 million project will offer affordable technology training for New Yorkers seeking to join the digital economy. 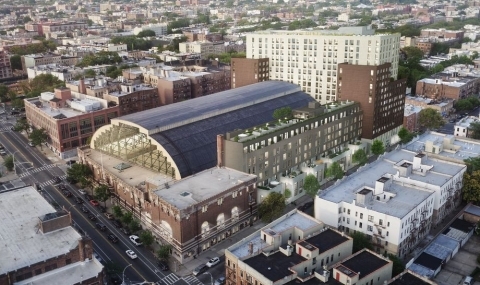 Successfully helped BFC Partners obtain New York City Council approval to redevelop the Bedford Union Armory in Crown Heights, Brooklyn, into a 500,000-square-foot, mixed-use property with a recreational facility, community venue and office and commercial space. Represented Madison Realty Capital in zoning due diligence and 421-a vesting due diligence for a new two-building rental complex in Bushwick, Brooklyn. Advised Madison Realty Capital on zoning due diligence for a $88 million construction loan to a seven building multi-phase development in Bedford-Stuyvesant, Brooklyn. Advised Madison Realty Capital on zoning due diligence for their $78 million acquisition of two industrial buildings in Jamaica, Queens. Represented Deutsche Bank on zoning and landmarks due diligence for a $200 million loan to Macklowe Properties for the redevelopment of the landmarked building at One Wall Street. Represented Deutsche Bank and Vanke in zoning due diligence for The Vanderwater, a new 32-story condominium building at 543 West 122nd Street located within the Jewish Theological Seminary’s Morningside Heights Campus in Upper Manhattan. Assisted Deutsche Bank in the closing of a $150+ million loan for 1-15 West End Avenue, a residential tower in the Riverside South complex on Manhattan's Upper West Side. 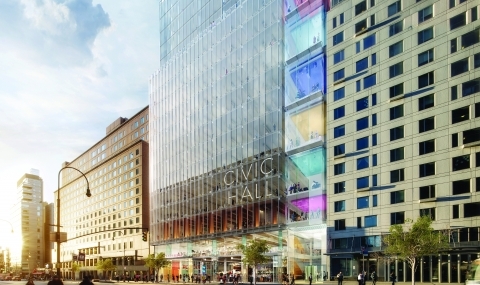 Represented G4 Capital Partners in the zoning due diligence for 88 Wall Street where the current office building is being converted to a 98,000 square foot hotel and restaurant. Represented Centennial Bank in a $54 million construction loan to 31st Street ZEF LLC. The loan was secured by a 40-story, 42 unit condominium tower located at 30 East 31st Street. Represented a real estate investment bank in connection with land use and zoning advice for a major redevelopment project in Brooklyn, New York. Land use counsel to the Port Authority of New York and New Jersey in the development of the new World Trade Center complex. Special counsel to Otera Capital Investments IX Inc. in zoning and title matters related to $147.7 million in loans to HFZ Capital Group, for an assemblage of several parcels in the NoMad neighborhood of Manhattan where HFZ is planning a 60-story office tower. Represented The Lightstone Group in obtaining New York City Board of Standards and Appeals approval for a proposed alteration of a landmark, Garment District office building into a hotel. Represented William Friedland Properties in obtaining approval to tear down a two story retail building in a Upper East Side historic district. Represented G4 Capital Partners in an $11 million mortgage loan secured by properties in Manhattan and Queens, as well as zoning matters pertaining to tax lot subdivisions. Represented an affiliate of Toll Brothers City Living in the acquisition of development rights from a site on First Avenue between East 52nd Street and East 53rd Street in Manhattan. Represented Sherwood Equities in the $167.3 million sale of a Hudson Yards Development Site to the McCourt Group, headed by former Los Angeles Dodgers owner Frank McCourt. Represented Youngwoo & Associates LLC in developing a unique residential condominium building in New York's West Chelsea neighborhood, which features full-floor units with a parking facility for a car at each level. We advised on the land acquisition, construction financing and zoning issues. Represented a real estate developer in obtaining special permit zoning approvals from The City Planning Commission for a Soho residential development.